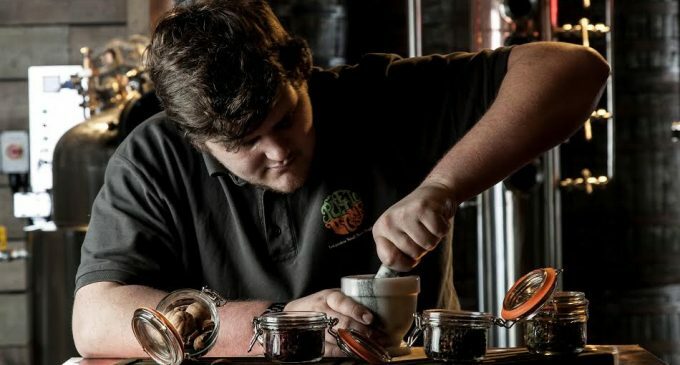 A new independent small batch distillery, based in the North East of England, has found the magic number for crafting award-winning gin. Poetic License, which launched late last year, uses 13 botanicals for its Northern Dry Gin and its Old Tom Gin – both of which won accolades in the Gin of the Year competition at the Craft Distilling Expo 2015. The majority of the Northern Dry Gin’s botanical bill is made up of juniper berries, imported from Italy, as well as coriander seeds and cardamom pods, which are hand-crushed on site to create a greater surface area for oil extraction. These are combined with 10 additional botanicals, including rose petals, cubeb pepper, Persian dried limes and Angelica root, to give Poetic License’s Northern Dry Gin (43.2%Vol.) a punchier flavour than many others on the market. Similarly the brand’s Old Tom Gin (41.6%Vol. ), which took first prize in its category at the Gin of the Year awards, combines majority juniper and coriander with 11 other botanicals, including hibiscus and black pepper, cassia bark, liquorice root, lime leaves and rose petals. This gives the finished product a natural sweetness, without the need for added sugar. After distillation the gin is rested in oak, to produce a rose gold colouring. Poetic License, so-named for its wild spirits designed to appeal to discerning drinkers, was first launched by North East entrepreneur, Mark Hird, in September 2015. The micro-distillery, one of only a handful in the region, currently produces three core products – Northern Dry Gin, Old Tom Gin and Graceful Vodka – all of which are distilled on site and bottled by hand. Poetic License products are currently being stocked in bars, hotels, restaurants and retailers across the North East, with plans to expand throughout the UK and internationally in the near future. For more information visit www.poeticlicensedistillery.co.uk. Distiller Luke Smith prepares the botanicals at Poetic License.